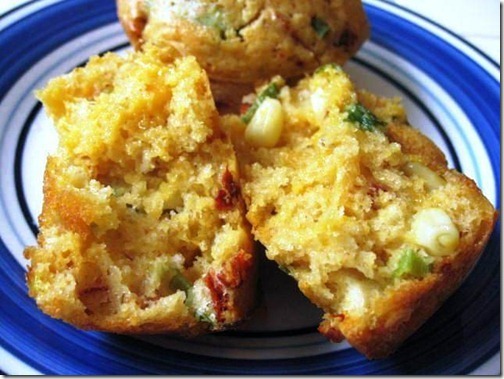 #FlashbackFriday with these 5 WWFreestyle Smartpoint sweet, smoky, cheesy beer cornbread muffins. 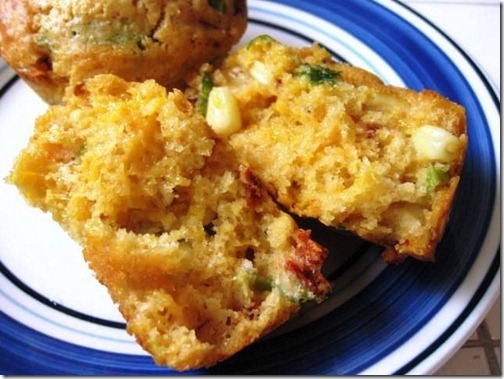 Here is recipe #2 in my Cooking with Beer Series ~ Chipotle Cheddar BEER Corn Bread Muffins. I honestly think this might be my favorite recipe from yesterday’s Beer-BBQ, using New Belgium Beers. 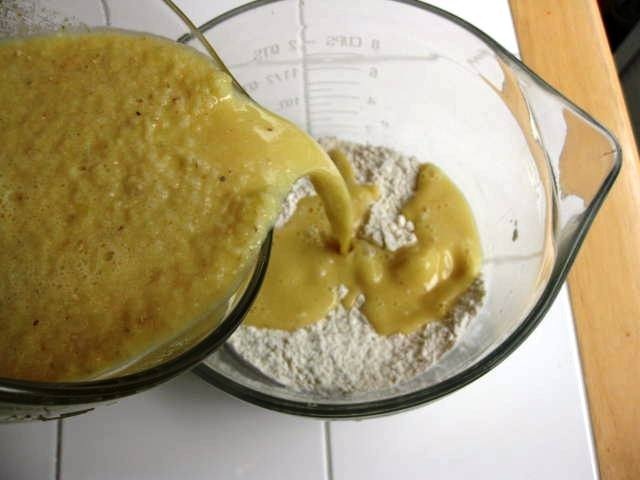 When I was first pondering recipes for using beer, I thought of things like this simple Cheddar Beer Soup and maybe a delicious Beer Bread. Then, I thought why not find a way to put them all together. The best bread I’ve ever had with cheese in it was that Corn Bread at Rutherfords Grill. 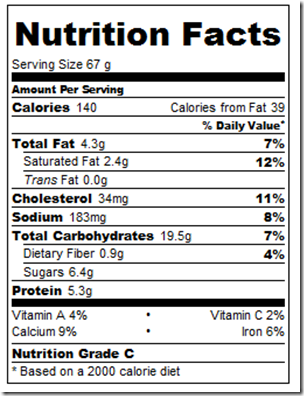 One day, I swear, I am going to go there and order a pan of it and not share! My goal in my Beer Recipes was to use up my entire can of Chipotles in Adobo (since I already have a bunch of half open ones in the freezer). I decided that I would recreate Rutherford?s delicious corn bread and make it slightly sweet, smoky, cheesy, crunchy corn bread with real corn, (green onions for color) and beer for an even richer flavor. The result ~ I ended up eating 2 straight out of the oven and pondered if I had to share with anyone else. 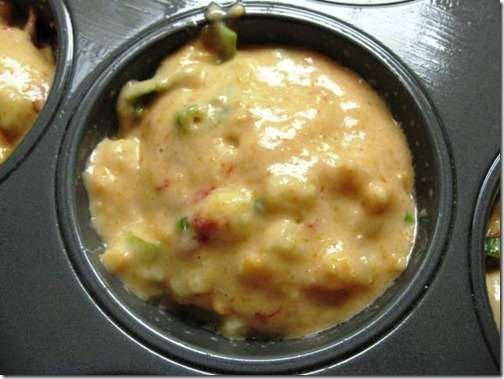 Even The Husband loved them and you all know how he is about corn in his food. They really are that good! 1. Preheat oven to 400 and prepare two muffin pans by spraying with nonstick spray. 2. In a medium mixing bowl, sift together the flour, baking powder, and salt, set aside. 3. 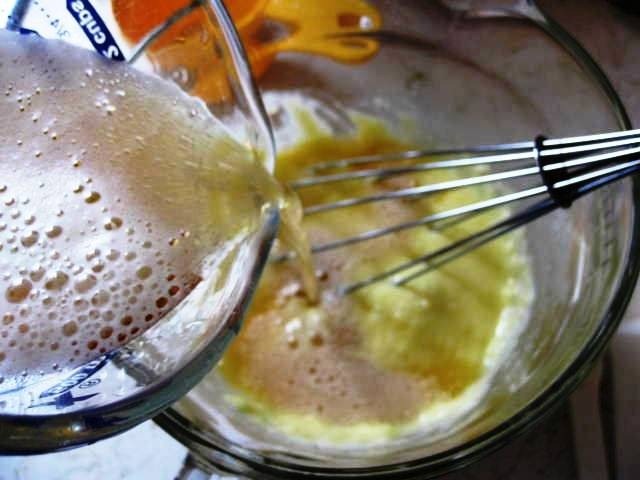 In another medium mixing bowl, whisk together the melted butter, Greek yogurt, sugar, eggs, beer, and cornmeal until thoroughly blended. 4. Add the flour mixture, grated cheese, green onions, corn, chipotle chilies, and garlic. Fold gently until just combined. 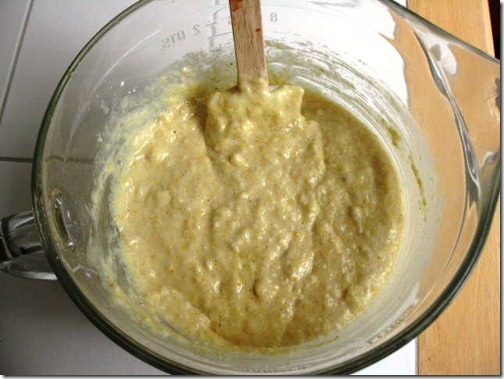 The batter will still be a little lumpy. 5. 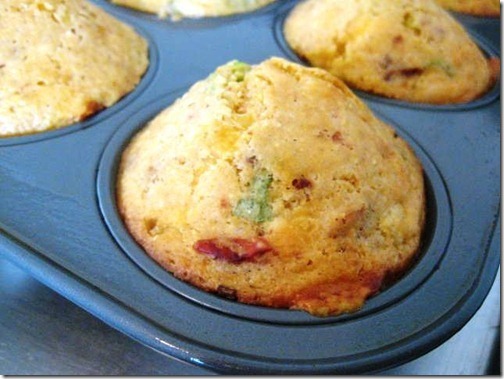 Fill muffin pan about three-quarters full each (add an inch or so of water to any empty cups). I use my ice cream scooper to make sure they are all evenly sized. 6. 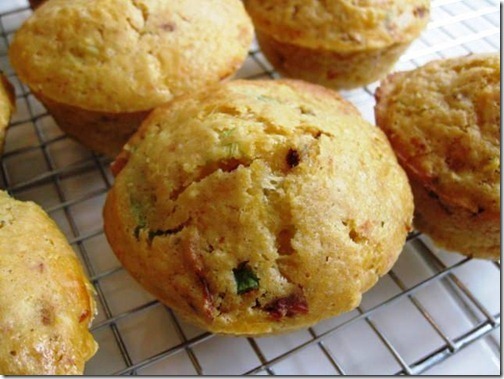 Bake at 400 for 20-25 minutes minutes until corn muffins are lightly browned on top and will spring back when touched in the center. 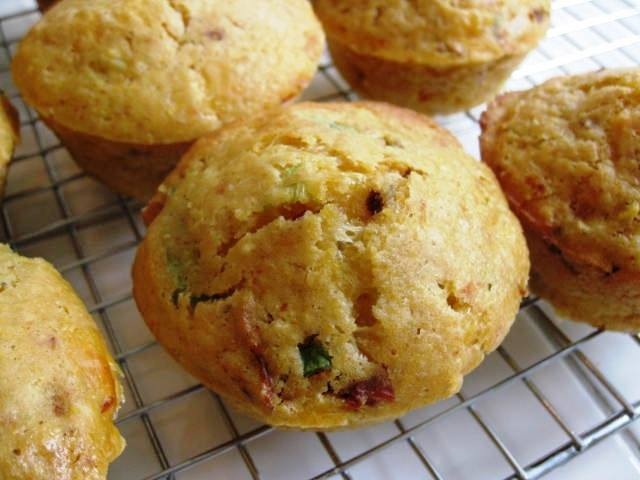 The “secret” beer ingredient in these muffins is Mighty Arrow Pale Ale. If you wanted a richer/stronger flavor, you could go with a darker beer. 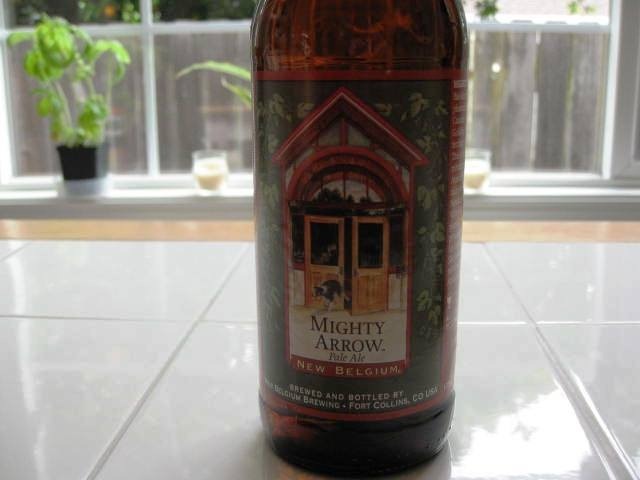 Mighty Arrow is subtle, but, it’s enough to let you know it’s in there. 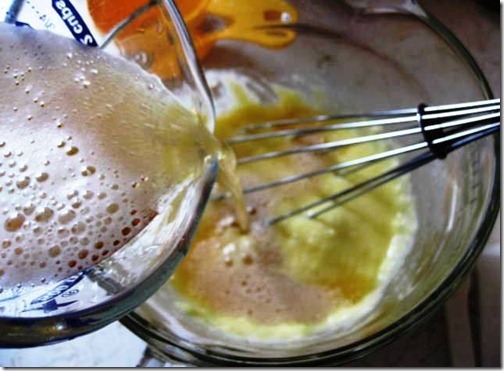 Whisk together the the melted butter, Greek yogurt, sugar, eggs and beer. Whisk in corn meal. 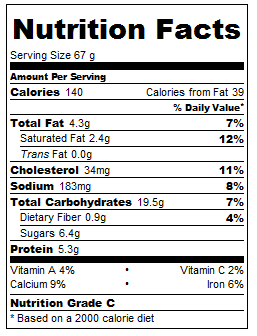 TIP ~ to save money if you don?t want to buy an entire box of Corn Meal, just go to the bulk bins and buy about 1/2 a cup to use in this recipe. 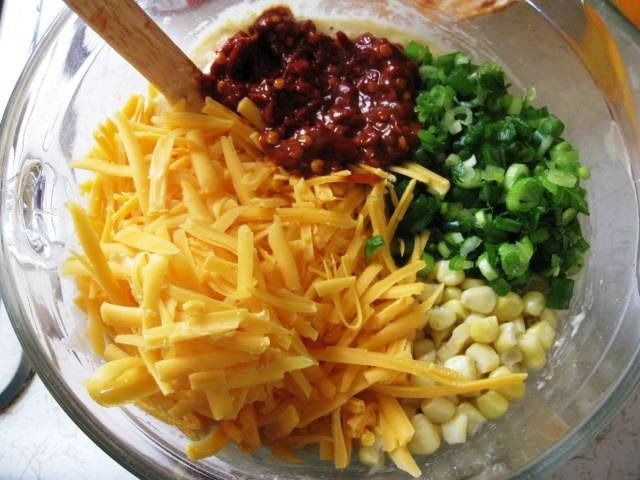 Stir the wet ingredients into the dry just until combined. 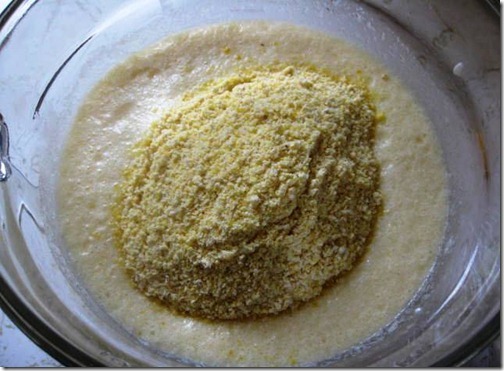 Add the best Corn Bread Ingredients to the mix (aside from sugar, honey & corn meal). Fold in just until blend. 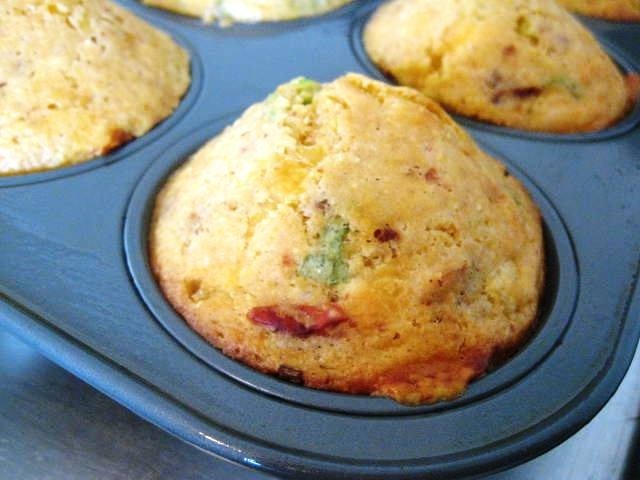 Scoop into prepared muffin pans. Bake at 400 for 20-25 minutes until puffy, golden and delicious. Cool on a wire rack and store extras in an air tight container in the fridge. These corn bread muffins are highly addictive. Make them only when you can share with others. 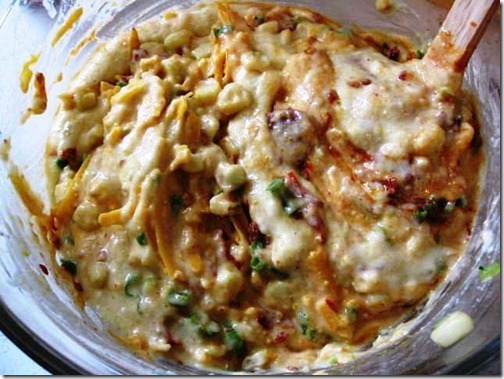 They are sweet, spicy, cheesy, moist, crunchy and just plain good! Enjoy! * Chipotle Cheddar BEER Corn Muffins. * Plus all the “fixin’s” you need to go on the side for one awesome BEER-Becue! Stay tuned for more from my Cooking with BEER Series! Happy Easter Danica!!! Love the cooking with beer series! Love these recipes. I’m not even a beer drinker but I looked at the website to see where I could purchase this beer. I am going to make these recipes for the Memorial day family gathering. No worries, I will be posting it tonight. I just took last night off and want to post all the BEER Recipes first. If you need it sooner, just let me know. There are a lot of good ideas to share! 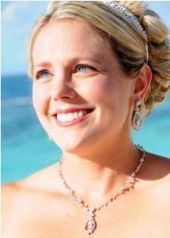 Hi Danica, Love your blog, it’s really helping.! Wondering if the next time you have the Trader Joes sliced bread out, you could snap a photo of it and send it over, I’m having a hard time finding it in the store, there are so many choices. Thanks a bunch! Keep on cookin! Here is a link to a post I did that shows the Trader Joe’s Bread Bag for the kind I buy. Hope it helps.